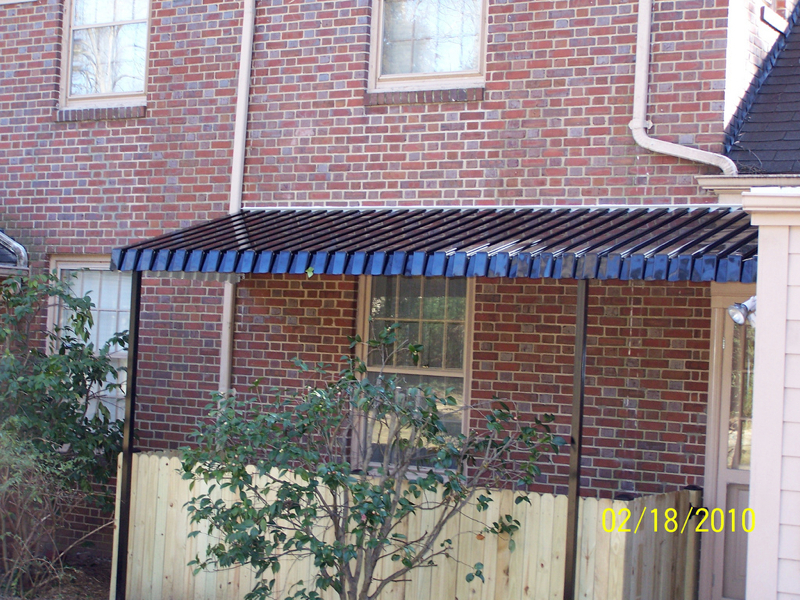 You don’t have to let hot, glaring sun keep you from using your deck or patio spaces. 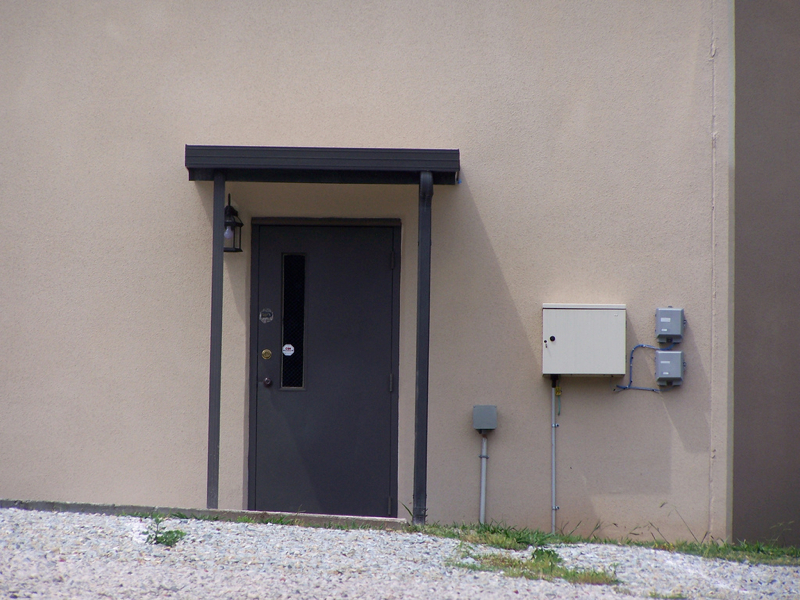 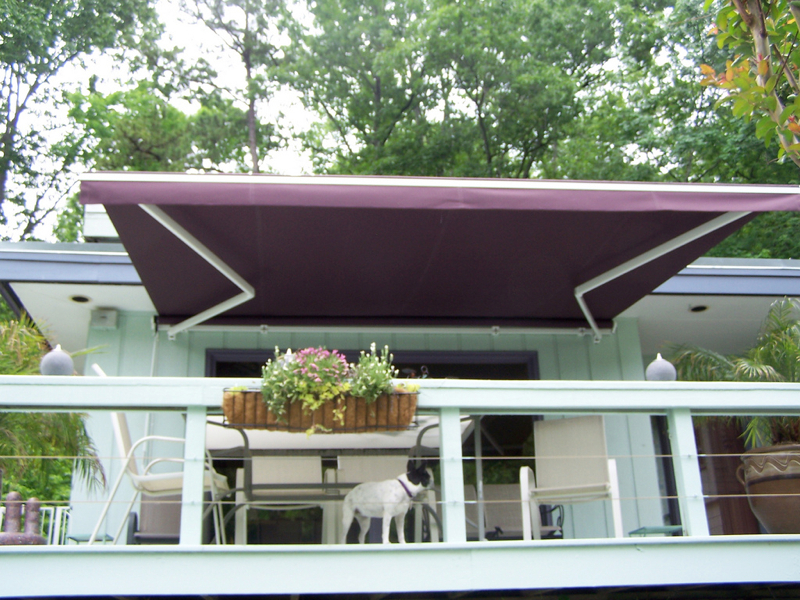 By installing a custom retractable awning or sunshade, you control the weather. 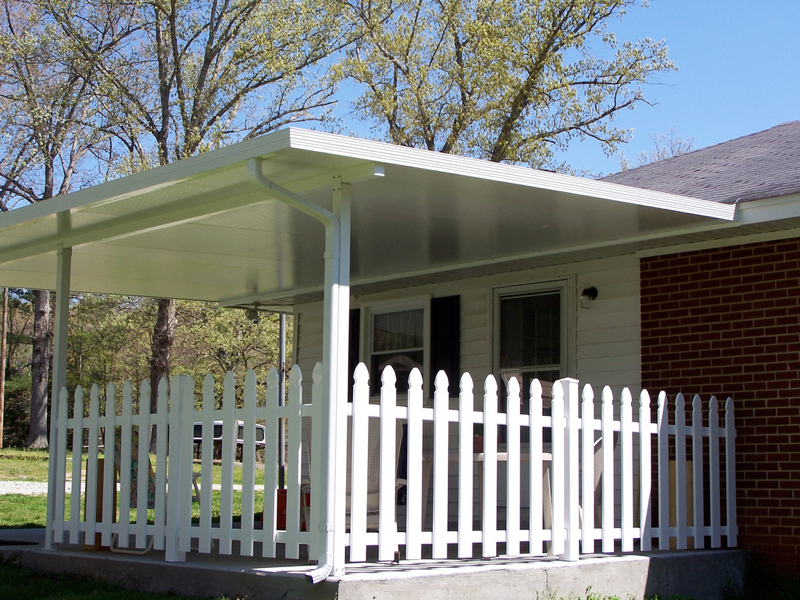 Enjoy the outdoors — rain or shine — with shade and protection when you need it, or open air when you want to enjoy the sun. 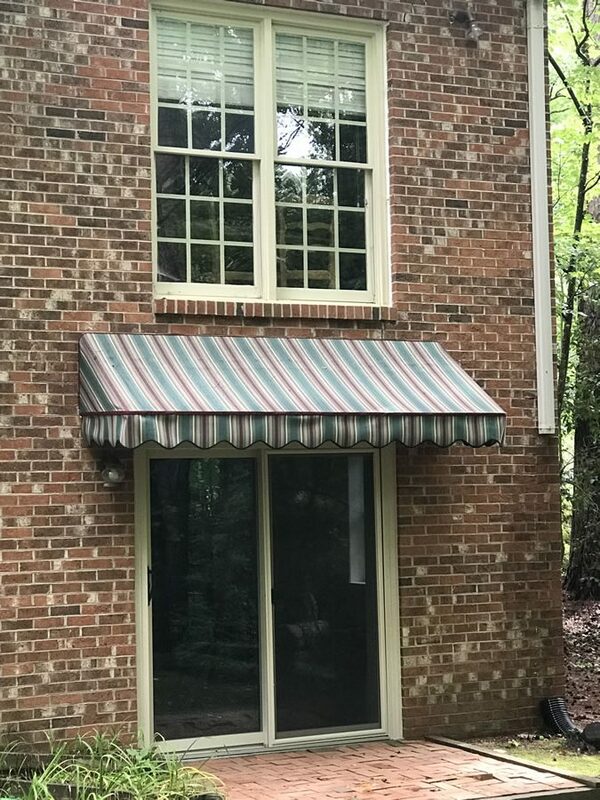 Awnings not only extend the use of your outdoor living spaces, but also make your indoor rooms more comfortable by blocking direct sunlight from windows. 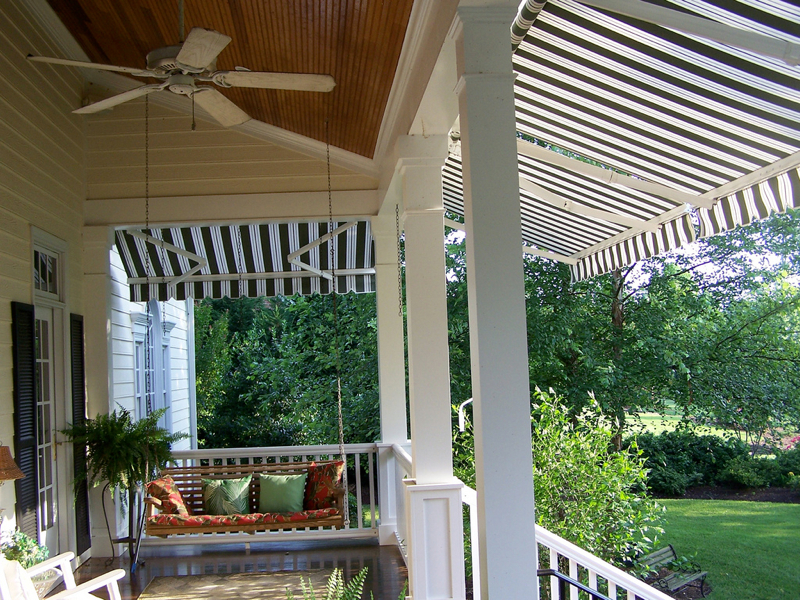 Imagine having soothing, cooling shade whenever you want it for any—or every—room of the house. 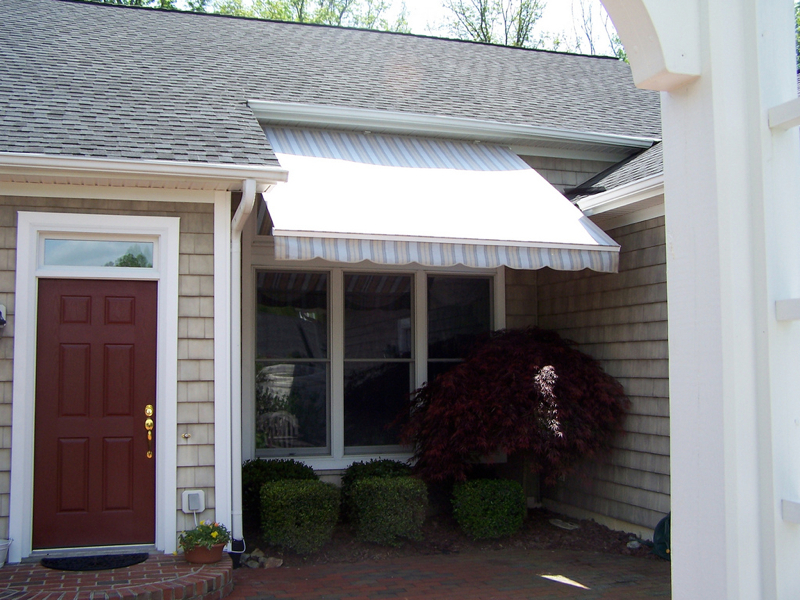 You’ll notice a dramatic difference on your cooling bills in the long, hot, humid North Carolina summers with the addition of awnings and sunshades to block sunlight from the home. 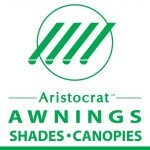 We are proud to be an authorized dealer of Aristocrat Awnings, shades, and canopies for homes and businesses. 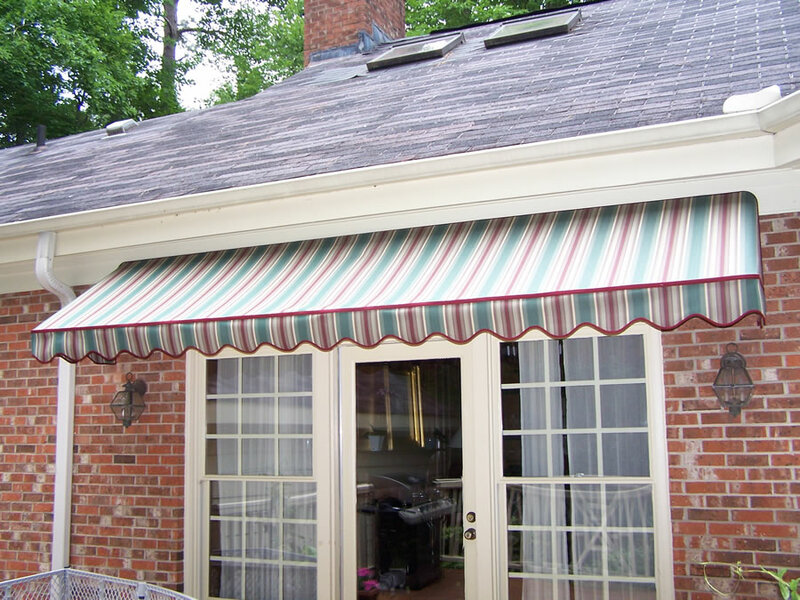 With Aristocrat’s award-winning retractable awnings, those outdoor spaces you’ve worked so hard to create can be enjoyed even on the hottest summer days. 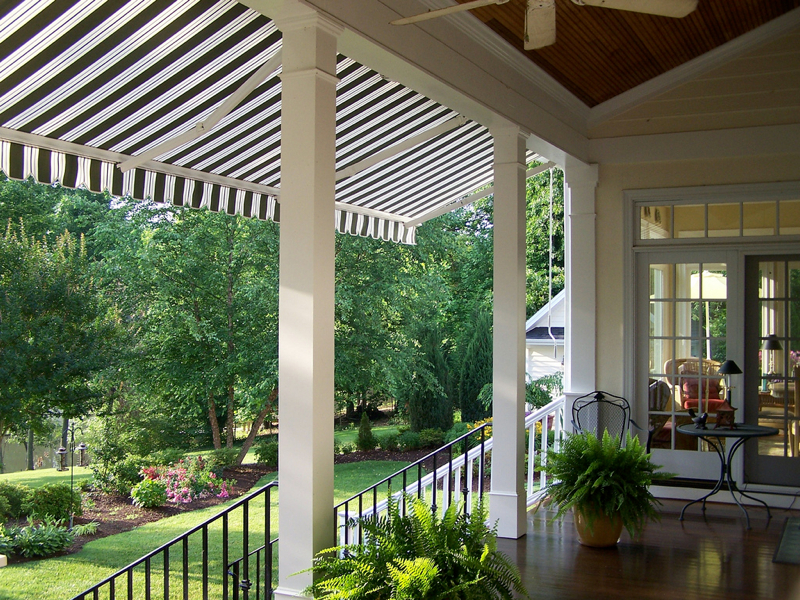 Instant shade is available at the touch of a button, making it easier than ever to relax outdoors with friends and family. 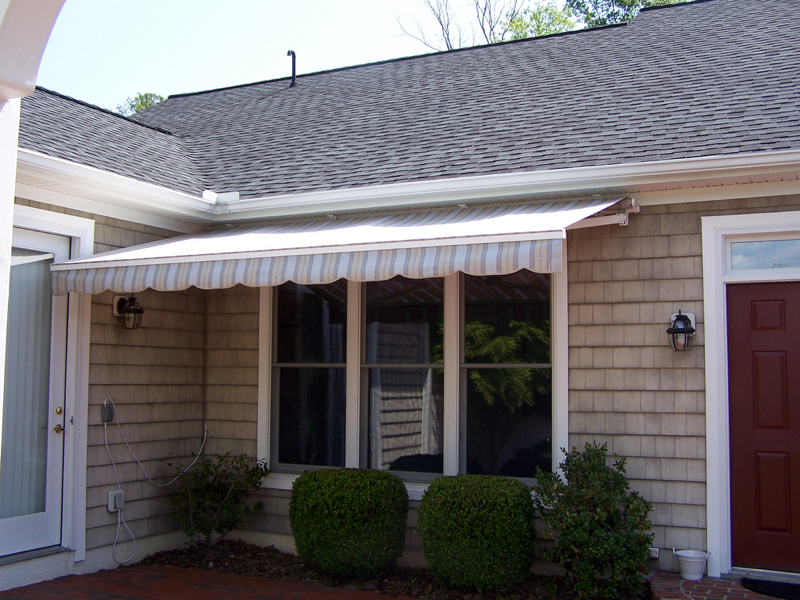 When you want to add unique features to your home such as custom house retractable awnings from Gerald Jones Company, you’ll rest assured knowing you’ve chosen the area’s leading awning and sunshade contractor. 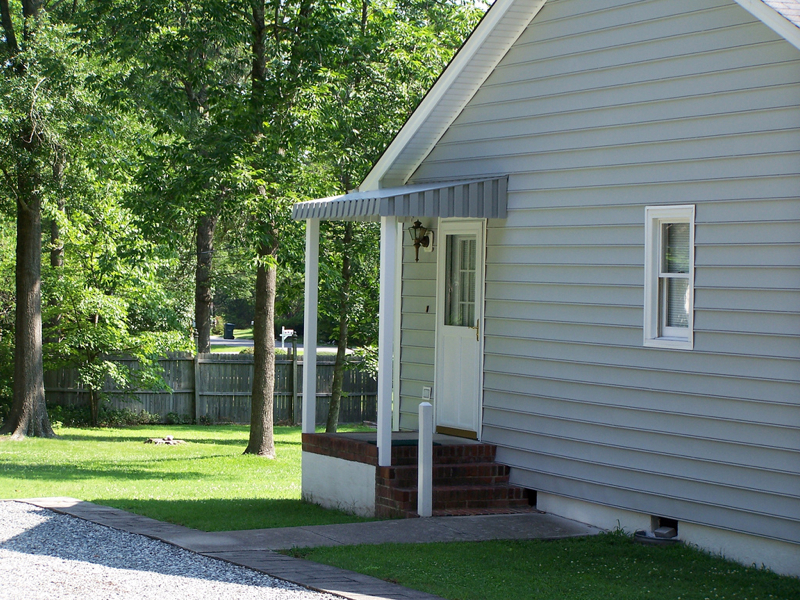 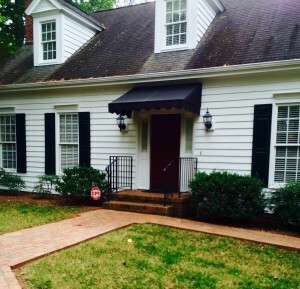 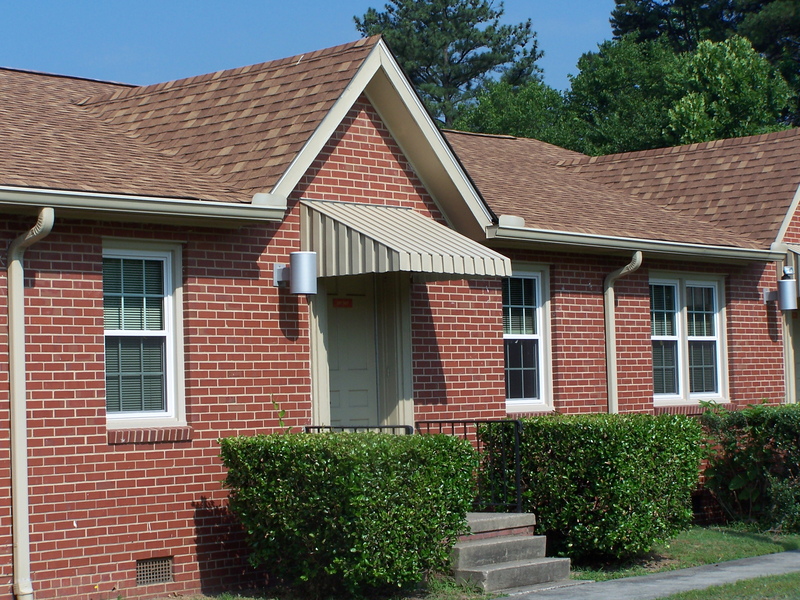 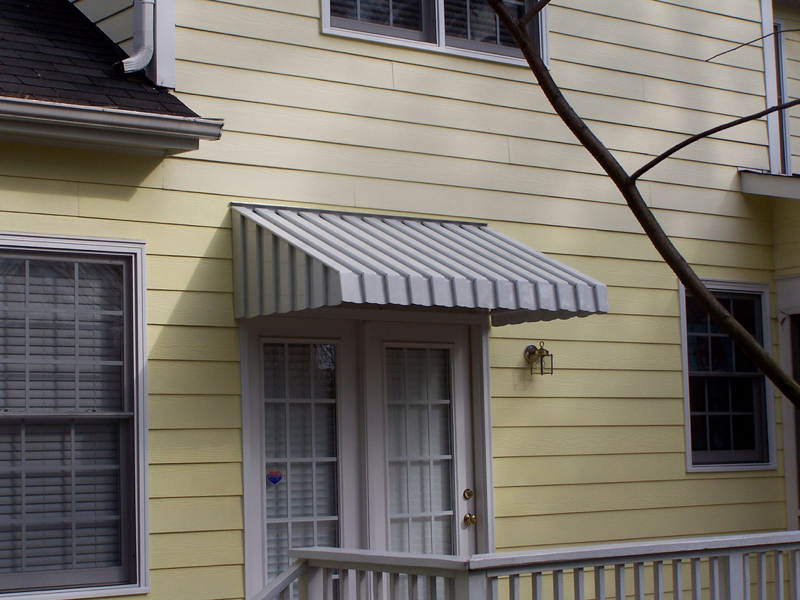 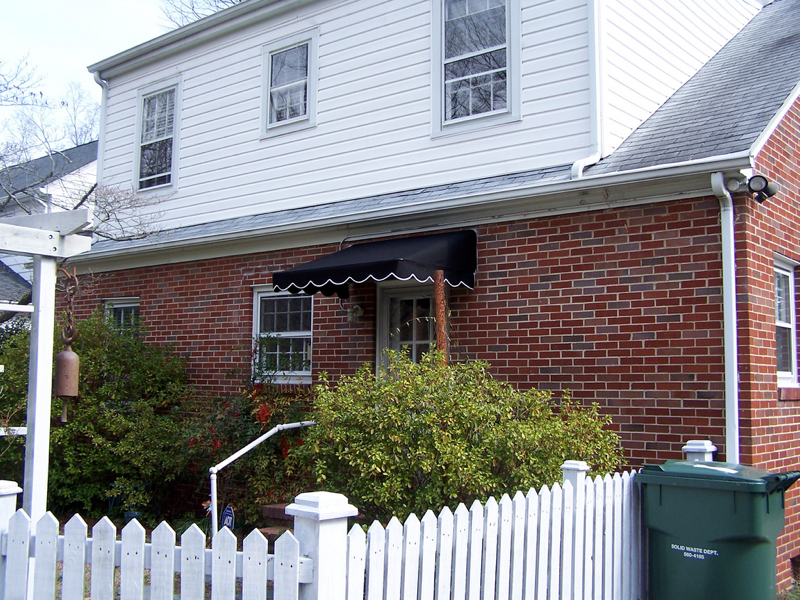 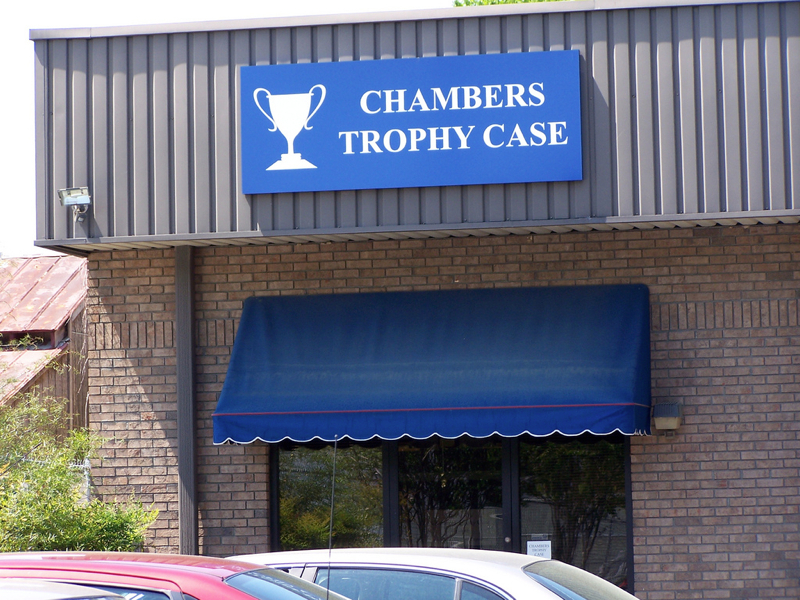 Since 1955, we’ve helped hundreds of customers in the Raleigh-Durham area add custom awnings to their home. 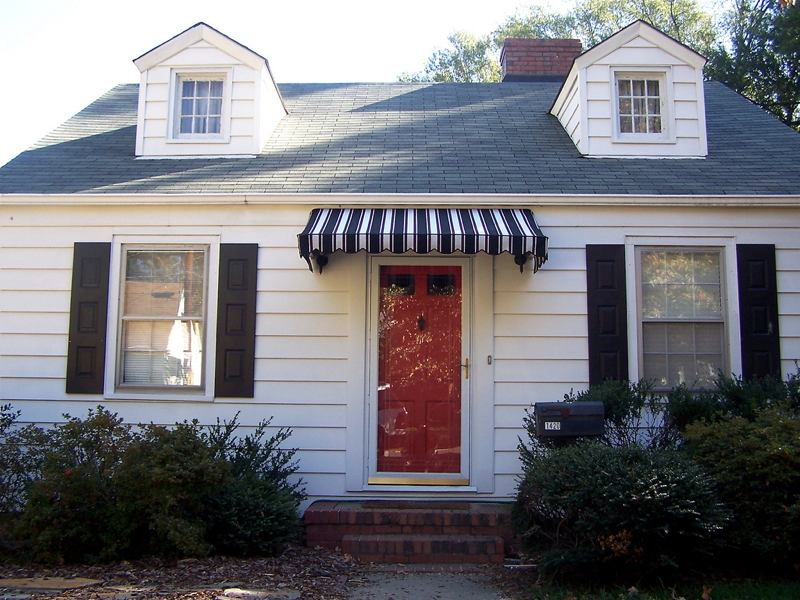 We offer a huge variety of styles, fabrics and colors to choose from that help you complement your existing décor or set the stage for a new expression of your family’s style during a renovation. 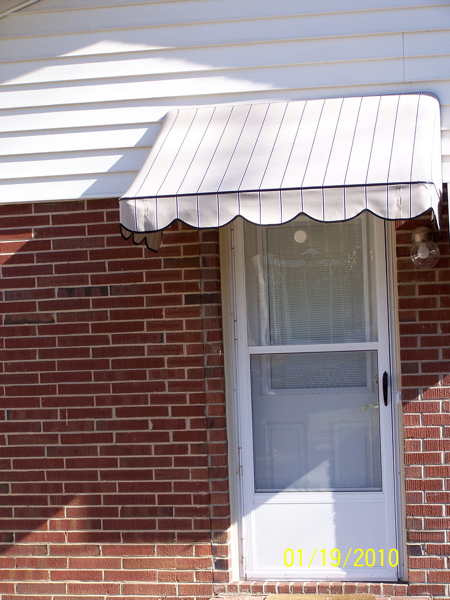 Black fabric awning installed over front entrance of home.